Family technology is a major issue for most parents. 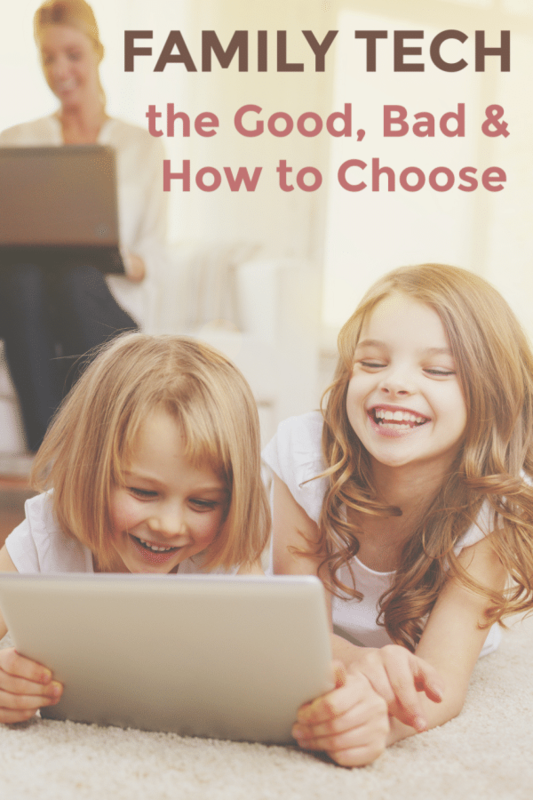 Since most of the modern technology wasn’t available when we were young, we’re left flying blind when it comes to making decisions and setting boundaries for our children when it comes to technology. Current technology provides our families with dozens of new opportunities but also carries new risks. The same tools that make it easier to connect with our kids and safeguard them, make them vulnerable to dangers from those outside our homes. 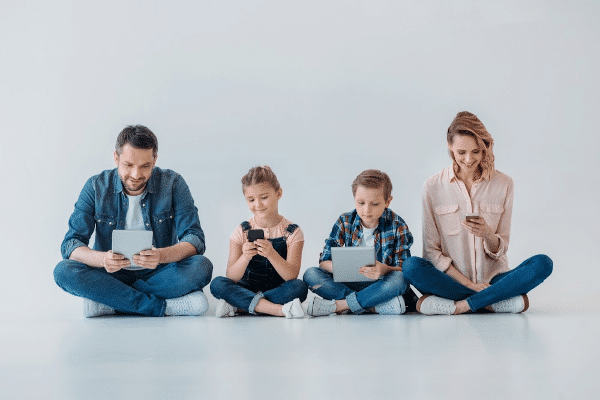 If you’re confused by the technology that’s out there, worried about its effect on your family, and want to be proactive when it comes to choosing and using family technology, here are things to consider along with some helpful resources too. When readers write to me with questions about how I’ve handled technology in my own home, most of their questions have to do with concerns about the impact of technology on their kids. Here are some of the most common concerns about family technology. When I was a teen, my parents didn’t have to budget for cell phones or tablets (they didn’t exist yet). My school supplies consisted of notebook paper, pens, and folders. No one in my classes had a laptop and teachers certainly didn’t assign homework that required internet access to complete. The situation has changed dramatically for my children. Not only do my high schoolers need access to a computer and the internet to complete many of their assignments, most of their instructors and coaches communicate with them via text messaging and email. Whether I provide them or not, a cell phone, tablet and/or laptop are necessary for them to be successful high school students. So, we can either budget time as a family to arrange access for them through free sources (e.g. staying at school late or going to the public library) or we can budget the money needed to provide these necessities. 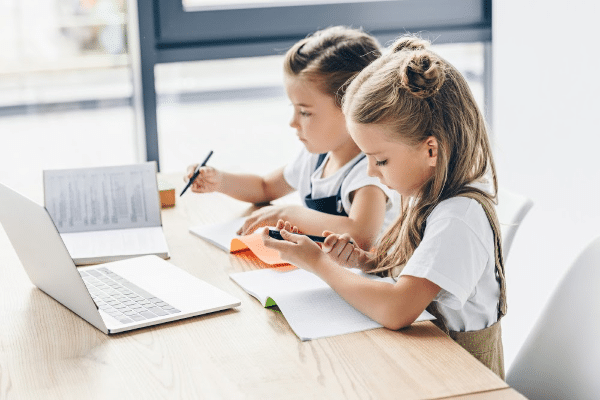 Another chief concern among parents is deciding when our kids are responsible enough to take care of the technology that we’ve already established can be expensive. It can be hard to trust your child with a fragile device that costs hundreds of dollars when he can’t even keep track of both shoes most days. If you’re worried that your child might break their device, read “Cases and protection” in The Parents’ Guide to Kids and Tech. And if you want to ease your child into safe and responsible smartphone use, also read the article “3 ways the GizmoWatch helps prepare kids for smartphones” (also in the Parents’ Guide). We’ve definitely had some ups and downs when it comes to kids and responsibility with their devices. Ultimately, I realized that tech devices were an opportunity for me to teach my kids responsibility. My advice is to first, make sure your kids have “skin in the game.” In other words, have them contribute to the cost of the tech they use whether it’s actual money they’ve saved or money they earn through extra chores. Second, be firm with consequences. When one of my sons lost his phone, we didn’t replace it, even though it was an inconvenience since we’d gotten used to all the benefits of him having a phone. Eventually, he saved up enough to buy a used one. We’ve all experienced the mom guilt when we’ve used the television or iPad as a babysitter so we could get things done (or just enjoy a few minutes of peace and quiet!). We feel guilty because we KNOW it’s not good for our kids to have too much screen time. Passive activity doesn’t engage their minds and bodies in the same way other types of play do. 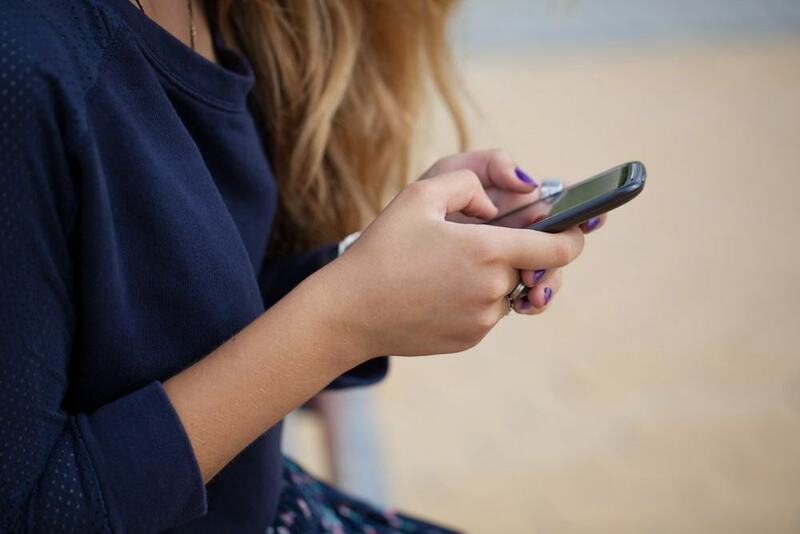 Plus, mobile device addiction is a real concern for those of us who are sensitive to addiction. If you provide your kids with tech devices, you will have to set boundaries and limits if too much screen time is a concern. Read “How to set limits IRL” in The Parents’ Guide to Kids and Tech. This is a term, unfortunately, that’s become too familiar. No matter what happened outside our homes, we used to be able to shelter our children once they were within the safe confines of our homes. Social media is both the one thing our kids look forward to most when it comes to cell phones. It’s also the most likely place they’ll experience negative interactions with their peers. It’s too easy to be unkind when you don’t have to look someone in the eye. It’s also easy to read things out of context and experience hurt feelings even when none were intended. It’s helpful for our kids to have our guidance and perspective on these issues, but teens are often reluctant to share these details. How do we walk the line between wanting to respect their privacy but also wanting to keep them safe? Read “How parents can monitor their teen’s digital activity” in The Parents’ Guide to Kids and Tech for great information on this topic. Most frightening of all, technology now lets not just friends and family but also strangers into our homes. If we’re not careful, we can create a direct connection from a predator to our children. This is a fear that every parent experiences when we think about family technology. It’s a real threat and one that is worth considering. I’ve outlined the issues above not to scare you, but to make sure you make informed, thoughtful decisions for your family. Before you make any decisions though, consider these benefits. Some of them might be significant enough that you’re willing to work harder to overcome any challenges you identified above. If you’ve ever taken a long road trip or cross-country flight with kids, you appreciate the entertainment value of technology. The hour-long reprieve you enjoyed while the kids watched a movie on the tablet, might well have been a priceless gift of sanity. Stuck in the emergency room for who knows how long? Those games and videos on your phone or tablet are going to turn an already bad day into a bearable one. Plus, the new VR technology is, quite frankly, super cool. One great side benefit of providing technology for your kids is that it can be used to reinforce good behavior. When your kids are too old for timeouts and an infraction isn’t severe enough to warrant a grounding, a timeout from tech is a great alternative. Cell phones and tablets also provide plenty of opportunities for positive reinforcement. You can offer in-app purchases, paid apps or games, or simply extra screen time as rewards. Even if, like me, you don’t believe in over-scheduling your kids, once you have two or more children, your family schedule gets unavoidably more complicated. Regular obligations like school, teacher conferences, doctor and dentist appointments, and holidays can fill up the calendar quickly. Once your kids are teens, the schedules get packed even tighter and coordination gets trickier. This is an area where technology really shines. With the right apps, you can easily coordinate and sync schedules and shopping lists with everyone in the family. In addition to coordinating schedules, you can share information instantly in group chats so that each person has important details at the same time. This is really helpful when you’re working out who is picking up whom when or trying to find each other at a crowded venue. One of the best benefits I’ve found is that having cell phones gives my kids an easy way to contact me without drawing attention to themselves. They can text me from a loud, crowded football game or in a quiet auditorium. While technology makes it easier for strangers to reach within the walls of our homes, it also provides us with innovative ways to safeguard our families when they wander outside of them. Help or reassurance is only a phone call away. Also, there are plenty of tools available that make it easy to locate your family members with your mobile devices (read more about “Family Locator” in The Parents’ Guide to Kids and Tech) and keep an eye on your home when you’re away. 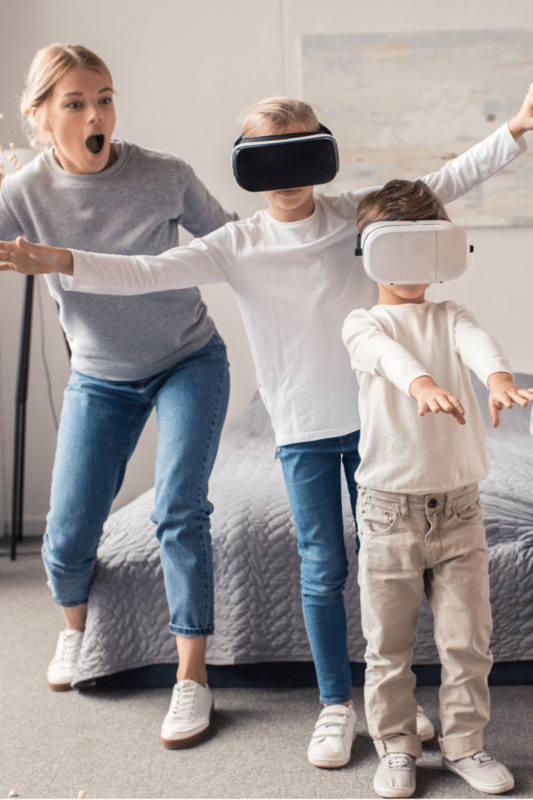 The concerns and benefits I’ve listed above are the issues we parents think about when we are faced with decisions about what type of technology to introduce in our homes and when. Each of us will make different decisions based on our assessment of the risks, our confidence in mitigating them, and our family values. I encourage you to talk about these issues as a family so that no matter what you decide when it comes to family technology, you can grow closer to each other. This innovative technology can strengthen our families by making communication and connection easier. But even if we choose not to use it, the discussion about why helps us know and appreciate each other better too. This is such a great resource for families trying to balance out the positive/negative effects of technology and screen time ! We loved the Gizmo watch! It was a great way for my son to ease into using technology and being responsible with it.